Give me costumes. Give me history. Give me interesting people. I gawk. I study. I love people. I love the way this maiden is deep in thought. I love the fullness of her face. 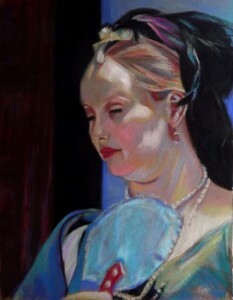 I am thrilled and excited most when I get to paint people.